In a DevOps team, software quality becomes everyone's business. Don't wait at the dockside: join the STAMP beta testing campaign now! Seize this unique opportunity to thrive and excel in software testing. Attend the STAMP workshop in Sophia-Antipolis with tutorials, 30 January 2019. Improve your knowledge about mutation testing and stand out as a STAMP early user and contributor. Enhance your testing process with open source test amplification: Try the STAMP toolset now! Discover a STAMP related project focused on distributed systems quality, through the ElasTest whitepaper. The cloud-based testing platform architecture is described with its benefits. 30 JAN. Attend the STAMP workshop in Sophia-Antipolis to improve your tests automation practices. 12 APR. One more step in DevOps automation during the Stockholm Testomat/STAMP workshop. Join the STAMP beta testing campaign and add software testing automation to your DevOps approach. Generate frequent releases faster with high quality, thanks to STAMP testing tools. 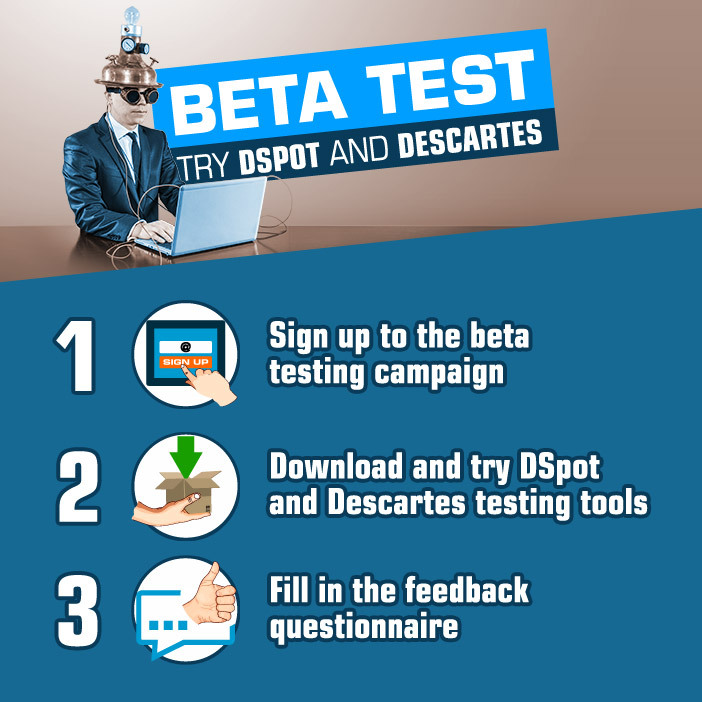 Join the beta testing campaign now. Don't miss the next opportunity to enhance your testing efforts. 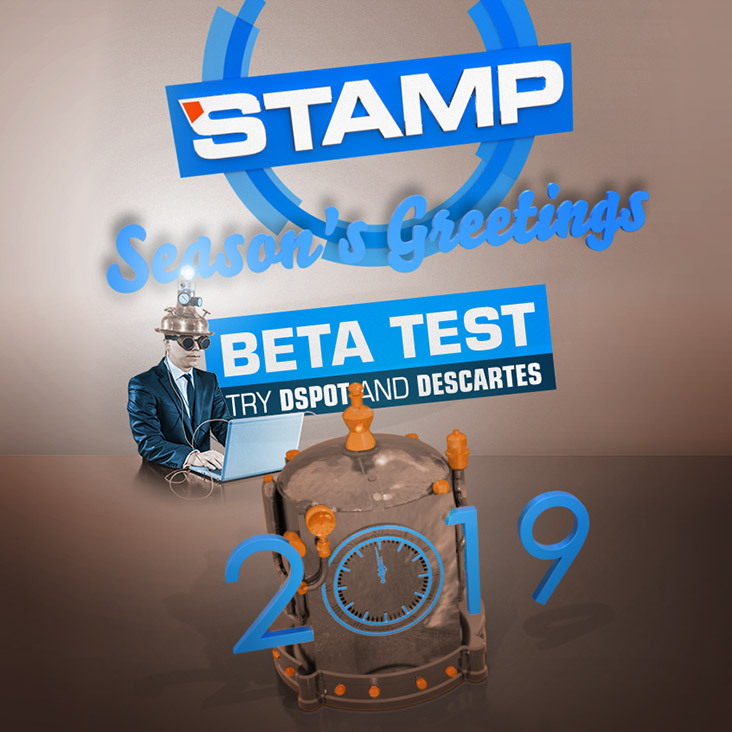 Attend the STAMP workshop in Sophia-Antipolis with live demos, 30 January 2019. 27-28 NOV. Visit the STAMP booth at Cloud Expo Europe 2018 in Paris, Porte de Versailles. 05-06 DEC. The STAMP toolset will be showcased at Paris Open Source Summit 2018. Read Henry Coles exclusive interview for the STAMP community. Discover how the designer of Pitest perceives the mutation testing adoption in the industry. And leverage your Pitest approach with Descartes. Do you code in a Java project with an existing test suite? Download the complete STAMP toolset to automatically generate new tests and extend your existing test cases. Give it a try now! Any feedback or suggestions? Do not hesitate to talk with our group of Open Source DevOps pioneers. Join the STAMP community now! And grab our latest news using the social networks buttons above. Check out a new Jenkins pipeline script to automatically attach failing test screenshots to your test reports. Etienne Sauvage, Engineer at OW2, presented STAMP Testing Amplification at the OW2 annual conference in Orange Innovation Gardens in Paris. 17-24 SEPT. Two scientific papers about Refactoring of Tests and Continuous Integration at ICSME. 24-26 OCT. The EclipseCon Europe OW2 booth will host STAMP and other collaborative projects. 06-07 DEC. Join the STAMP project team at the OW2 village at OSS Paris 2017. While DevOps promises to drastically reduce delivery cycles, hasty deployment entails the hazard of propagating a regression bug into production due to lack of sufficient testing. Statement coverage is the most popular metric to determine the adequacy of a test suite. However, this metric is known to be a poor indicator of a test suite's capacity to detect bugs. At EclipseCon Europe next October, STAMP project coordinator Benoit Baudry will introduce and illustrate the benefits of another metric for test suite quality: the mutation score. Click on the boarding pass above for more on what to expect from STAMP in Ludwisgburg. Do you code in a Java project with an existing test suite? Download DSpot to automatically generate new JUnit tests and extend your existing test cases. Give it a try now! Disclaimer: This newsletter is published by OW2 on behalf of the STAMP project. It is intended for general informational purposes only. OW2 offers no guarantee as to the accuracy of the information in this document and accepts no liability for any errors, misprints or omission herein. Open the Stamp Project FactSheet. Read this one page document to discover how STAMP is increasing test automation in Cloud application development.